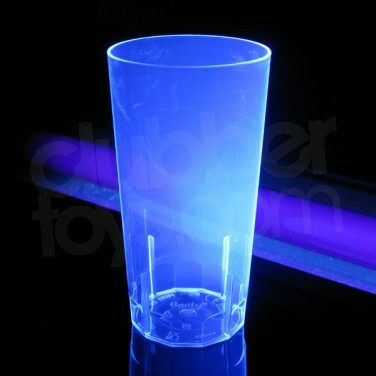 UV Reactive Hi-Ball Glasses are reusable UV reactive High Ball glasses with 'EdgeGlo' effect. UV Barware glows brightly under UV or blacklight. UV reactive high ball glasses are perfect for soft drinks and hard ones! Colourful UV glow looks stunning under blacklight or UV lights. Get those drinks glowing! 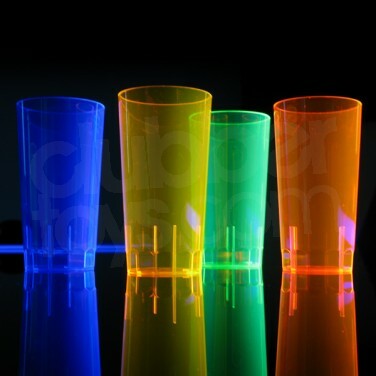 Uv Reactive High Ball Glasses UV Reactive High Ball Glasses - reuseable and colourful plastic hi-ball cups that glow brightly under UV light or blacklight!